The study, which appears in the April 15 issue of the peer-reviewed journal Cancer Research, focused on fat from corn oil, which is made up primarily of omega-6 fatty acids — the polyunsaturated fat commonly found in the Western diet. Omega-6 fats are found in high levels in baked and fried goods, said William Aronson, a Jonsson Cancer Center researcher and the study's senior author. Researchers fed one group of mice a diet with roughly 40 percent of its calories coming from fat, a percentage typical in men eating a Western diet. The other group received a diet with 12 percent of calories from fat, considered a very low-fat diet. Researchers found a 27 percent reduced incidence of prostate cancer in the low-fat diet group. Aronson also studied cells in the prostate that were precancerous, or would soon become cancer, and found that the cells in the mice eating the low-fat diet grew much slower than those in the high-fat group. Previous studies in Aronson's lab showed that a low-fat diet slowed the growth of aggressive human prostate cancers in mice and helped the mice live longer. However, whether such a diet could prevent prostate cancer was unknown. "We didn't know what to expect in terms of the role of reducing dietary fat in preventing prostate cancer," said Aronson, a professor of urology. "We think this is an important finding, and we are presently performing further studies in animal models and conducting clinical trials in men." Using a novel mouse model that develops cancer within the prostate over a period of six to nine months, Aronson and his team were able to study cancer incidence and cell growth. The mice were assigned to a dietary fat group at three weeks of age, when they first started ingesting food. Their prostates and prostate cells were studied at seven months. 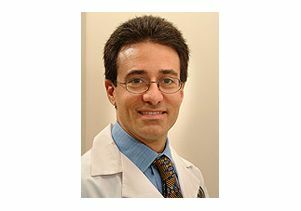 During the growth phase when the precancerous lesions — known as PIN or prostate intraepithelial neoplasia — develop, Aronson found that mice on the low-fat diet had higher levels of a protein in their bloodstreams that binds to insulin-like growth factor, which spurs prostate cancer growth. Aronson believes that lowering dietary fat and increasing levels of the binding protein slows prostate cancer development by cutting off the growth factor that allows the cancer to thrive. "A low-fat, high-fiber diet combined with weight loss and exercise is well known to be healthy in terms of heart disease and is known to reduce the risk of heart attacks and strokes, so that would be a healthy choice to make," Aronson said. "Whether or not it will prevent prostate cancer in humans remains to be seen." Aronson is now conducting a short-term study in men who are randomly assigned to a Western diet higher in polyunsaturated fat or a low-fat diet with fish oil supplements. The next step is to see how these diets affect malignant and benign human prostate tissue, Aronson said. "We're looking at specific markers and growth factors in human tissue known to be important for development and progression of prostate cancer," he said. "It's this work we hope will lead to longer-term prevention strategies incorporating dietary changes." UCLA's Jonsson Comprehensive Cancer Center comprises about 235 researchers and clinicians engaged in disease research, prevention, detection, control, treatment and education. One of the nation's largest comprehensive cancer centers, the Jonsson Center is dedicated to promoting research and translating basic science into leading-edge clinical studies. In July 2007, the Jonsson Cancer Center was named the best cancer center in California by U.S. News & World Report, a ranking it has held for eight consecutive years. For more information, visit www.cancer.ucla.edu.